"They're everywhere!" Saban Films has released a new trailer for a terrible-looking zombie action film titled Dead Trigger, based on the mobile game of the same name first published in 2012. The film premiered in 2017 but is only now getting a release, and it's obvious once you see this footage why no one has touched it - despite Lundgren. When an unstoppable zombie apocalypse takes over the world, the government develops a video game, called "Dead Trigger," that mirrors the terrifying events plaguing the planet. The best efforts of the gamers are monitored, and they recruit the highest rated zombie killers. The young recruits are called “Dead Triggers”. This follows a group of recruits who travel to the origin of the outbreak to find a missing team of scientists searching for a cure. This stars Dolph Lundgren, Autumn Reeser, Romeo Miller, Isaiah Washington, Chris Galya, and Justin Chon. Looks even worse than so-bad-it's-good. Stay away. A mysterious virus has killed billions and turned many others into bloodthirsty zombies. Unable to stop the virus, the government develops a video game, "Dead Trigger," that mirrors the terrifying events that curse the world. 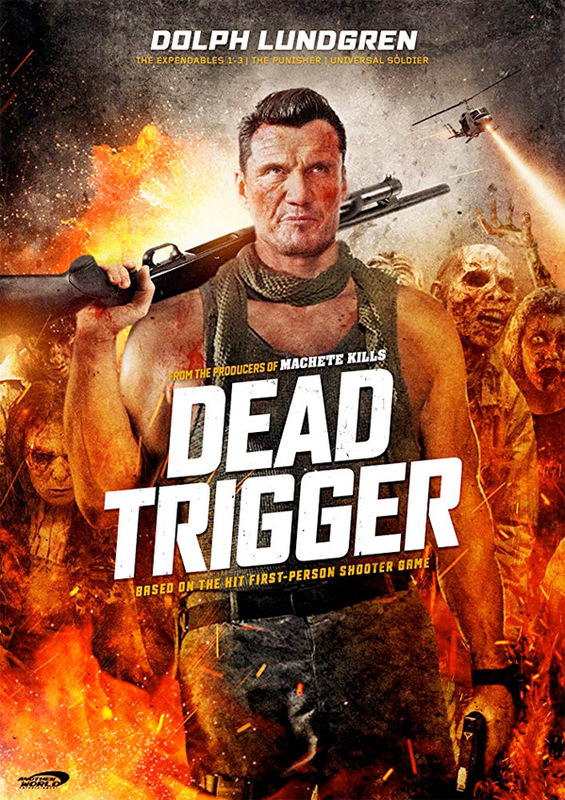 Dead Trigger is co-directed by filmmakers Mike Cuff (making his feature directorial debut after a short film previously) & Scott Windhauser (a screenwriter who also directed the film Cops and Robbers previously) - their first project together. The screenplay is written by Heinz Treschnitzer, and Mike Cuff, with an update by Scott Windhauser. Based on the video game created by Madfinger Games. This first premiered at the Moscow Film Festival in 2017, and landed on DVD in Europe last year. 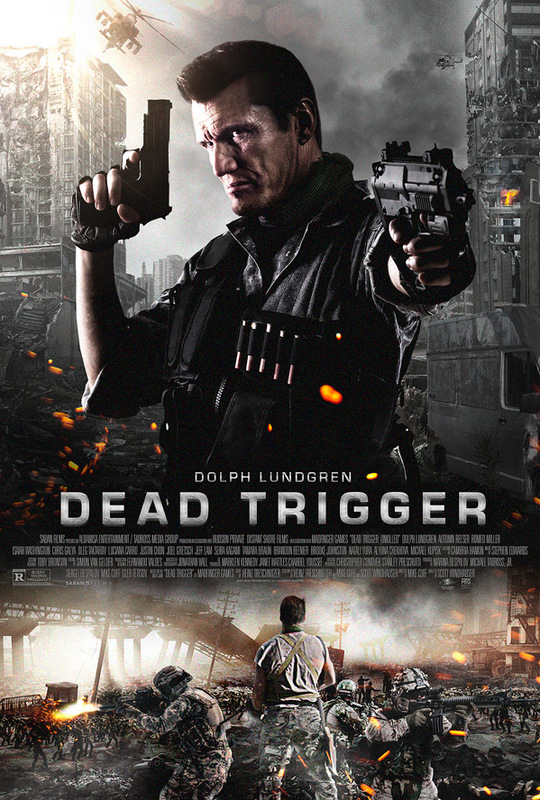 Saban Films is finally releasing Dead Trigger in select US theaters + on VOD starting May 3rd coming up soon. Anyone?